NRL premiership favourites the Wests Tigers have taken part in a merciless pre-season strength session as they gear up for 2012. Dubbed the strongman challenge by the club, Tigers stars braved Sydney temperatures in the high 20s in a gruelling session that included pairs flipping a 300kg tractor tyre up and back over an 80m course. Individuals hauled a beer keg full of water weighing 75kg before carrying two 30kg logs fitted with handles and painfully pumping ropes borrowed from an ocean liner. Two teams of forwards and two of backs completed the session, with a group captained by young prop Aaron Woods taking the honours. “It’s good to get into this first week back. 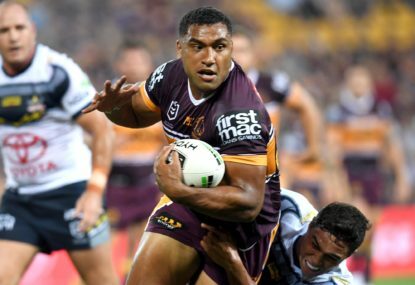 It sorted a few of the boys out from the men anyway,” winger Beau Ryan said. The Tigers returned to training this week minus a host of stars on international duty. 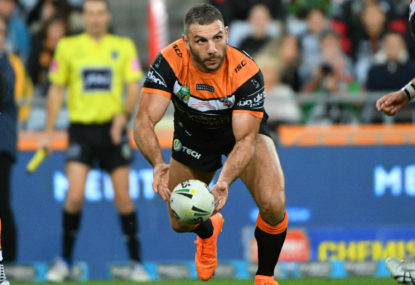 Captain Robbie Farah, Chris Lawrence, Keith Galloway, Gareth Ellis, Chris Heighington, Benji Marshall and new signing Adam Blair have all been involved in the Four Nations tournament in the UK. Coach Tim Sheens is also on Kangaroos duty, with conditioners John Skandalis and Luke Portese taking charge of Friday’s strength and endurance exercise. Dual international winger Lote Tuqiri missed the tough session after recently having a plate removed from his injured arm. Recruits Joel Reddy, Matt Bell, Tom Humble and John Grant were all on hand for the tough initiation to their new club. 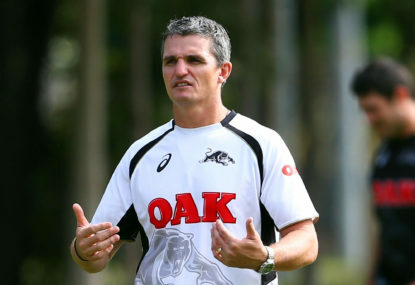 If Ivan Cleary had his way, he would’ve shared the NRL points with the Wests Tigers last week. 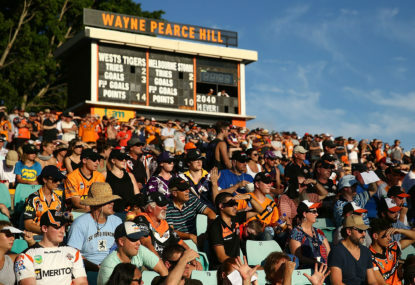 Round 5 NRL kicks off with a key match-up as the stuttering Brisbane Broncos welcome the Wests Tigers to Suncorp Stadium.